I must confess my deep love for “First Looks” They’re AWESOME. However, not everyone is aware of how romantic they are because they get caught up in how “non-traditional” it is and they immediately write it off. 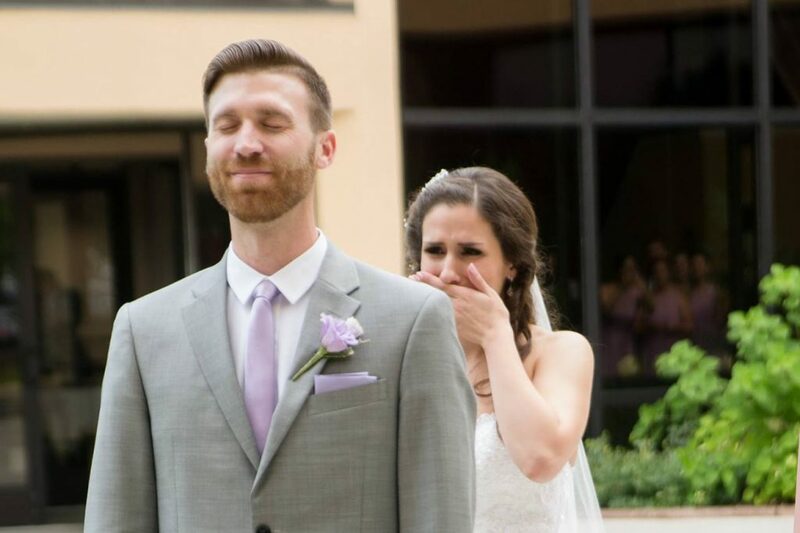 Most want a REACTION….for their groom to be so surprised and overcome with joy when they walked down the aisle that he bawled at the first sight! Isn’t that EVERY girl’s dream? Who doesn’t want that reaction? Those who are not interested in a First Look usually think that by seeing each other beforehand, they will lose part of that reaction. They also assume that it will not be as emotional or as intimate as it would be if they were coming down the aisle. 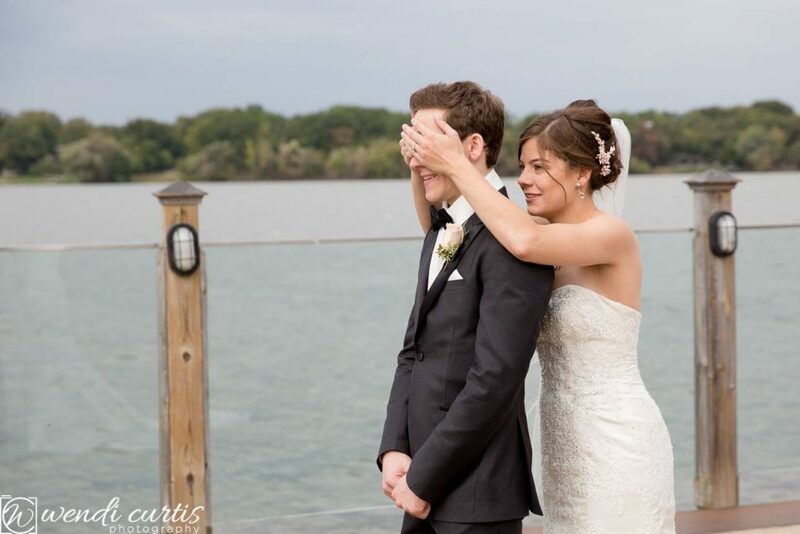 I have found that couples who opt to do a first look are very emotional and can be more comfortable expressing their emotion in the privacy of the first look. Everyone knows that wedding days are a bit stressful for the bride and groom. The whole day is focused on them, they need to look their best, they need to be on time, the groom has no idea what side the boutonniere is supposed to go on and little by little… the tension grows. It’s before the ceremony and the gravity of what is about to happen starts to sink in and the calm, collected groom who was playing golf just a few short hours ago is now starting to feel a little anxious. So what happens next? The groom waits in a little room somewhere for his que from the coordinator. It seems like it’s taking FOREVER. Finally, the coordinator leans her head in and hurries the groom to get ready. With clammy hands, the groom enters the ceremony and what does he find? …. he finds anywhere from 80-300 people and they’re all looking where? Right at his face… because everyone has expectations and anticipation about his first reaction. This is the farthest thing from a private, intimate moment. 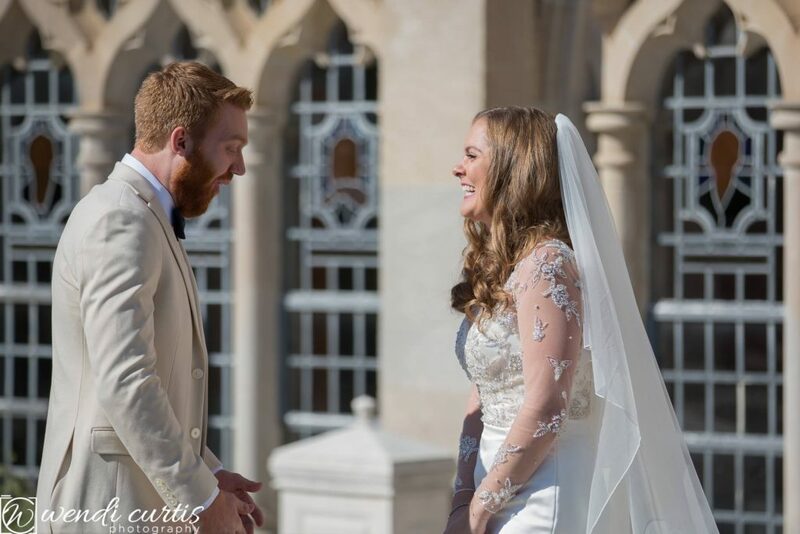 The moment the bride walks down the aisle is powerful and wonderful! When a couple has a first look before the ceremony, the groom isn’t quite such a nervous wreck…he had spent the morning with his bride and his best friends and the pressure is OFF. By the time the ceremony rolls around he is ready to ENJOY their beautiful day! The nerves are gone and when the nerves are gone… true emotions are free to be expressed. . 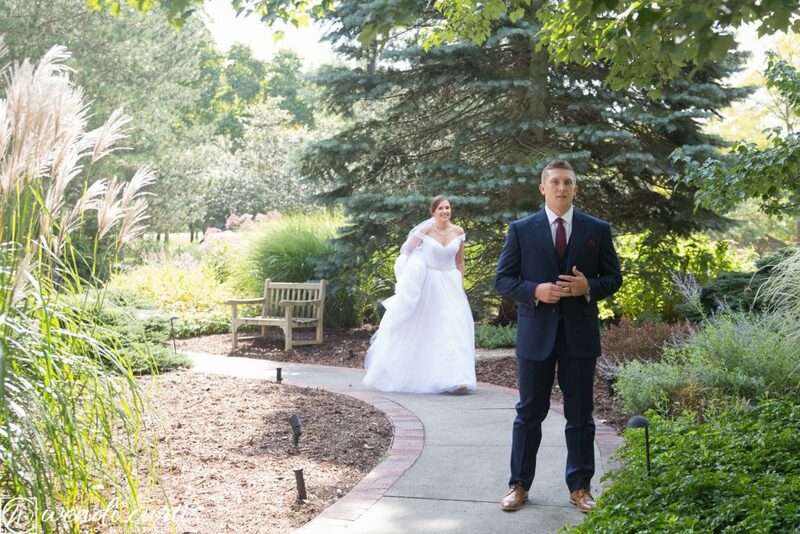 So if I were to condense what I just wrote… basically, Grooms normally become incredibly nervous on wedding days…. even if they seem cool and collected. 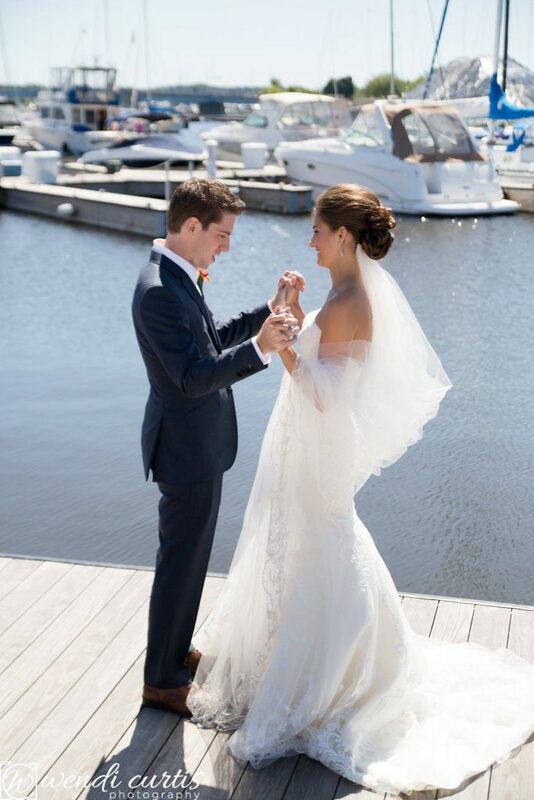 For most grooms, the nerves kick in before they see their bride because when they see her, everything becomes VERY real! So when the nerves start creeping up, instead of keeping the groom in a secluded space until his time to enter the ceremony, what if you took him to a private place… no people, no on-lookers, no distractions…. and you let his beautiful bride, the love of his life, quietly call his name and have him turn around to see her for the first time. He would turn around and finally get his first look at his stunning bride and not only would he get to see her… he could embrace her… cry with her…. kiss her… and ENJOY that moment with her for as LONG as they wanted. As she shows him her dress, twirls a few times and then asks him what he thinks… his nerves start to diminish. After all, she’s the one who can make him most comfortable anyway. Because they aren’t on a time crunch… they casually move into their romantic portraits. No one is around, the coordinator isn’t announcing “15 minutes left”, and there is no pressure. It’s just the two of them and their photographer….. capturing the excitement and the joy of their wedding day. This is their time to be TOGETHER…and to be ALONE. When does that happen on a wedding day? Without a First Look…. it might not. After their first moment together they meet up with their bridal party for some creative and FUN portraits. They’re FUN because there is time to make them FUN. This is especially important when your wedding and ceremony are at the same venue! There aren’t any guests waiting impatiently at the cocktail hour and there isn’t a DJ coming to find the photographer to get a time check. It’s wonderful! This is especially important when your wedding and ceremony are at the same venue! Keeping guests confined at a same site venue while trying to take all photos in between ceremony and reception can create cranky guests who don’t stick around as long at the reception party. It can also restrict areas of the venue for photography. If guests are all crowded around the unique reception area then we can not take photos in that location. After portraits are done, the girls and guys separate and prepare for the ceremony. The guests begin to arrive and the ushers are in place. Pretty soon it’s time for the processional music to begin and one by one, the bridesmaids make their way down to the front of the ceremony. 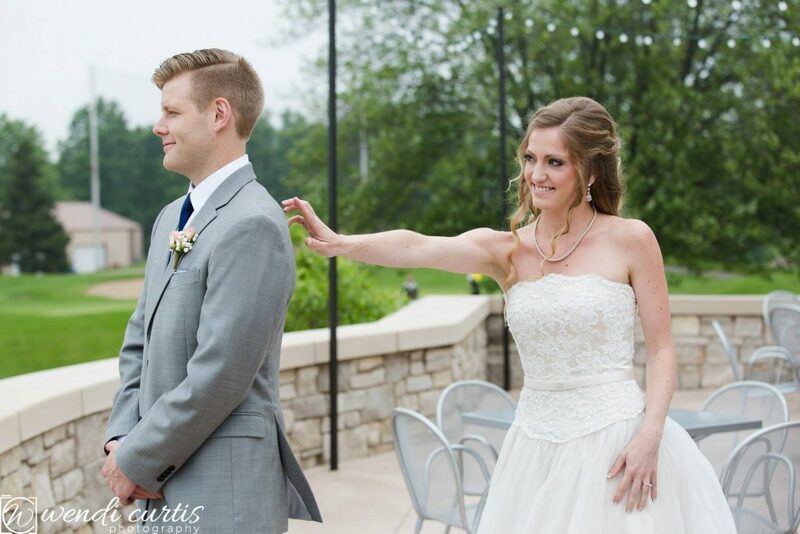 As the groom clasps his hands… they aren’t clasped out of nervousness but excitement. The music builds, the mother of the bride stands and all of the guests follow her lead. The groom looks up and here comes the BRIDE!!! His best friend, his companion, his sweetheart…..she’s stunning…. ABSOLUTELY stunning. The closer she gets, the bigger he smiles. Now let me put a disclaimer on here …my clients are not required to do a First Look by any means! I used to feel bad for sharing this option with couples who were against it because I didn’t want to push anything on them. However, I’ve seen the benefits of a first look over and over again and so I only share this because I want the BEST for my couples!! 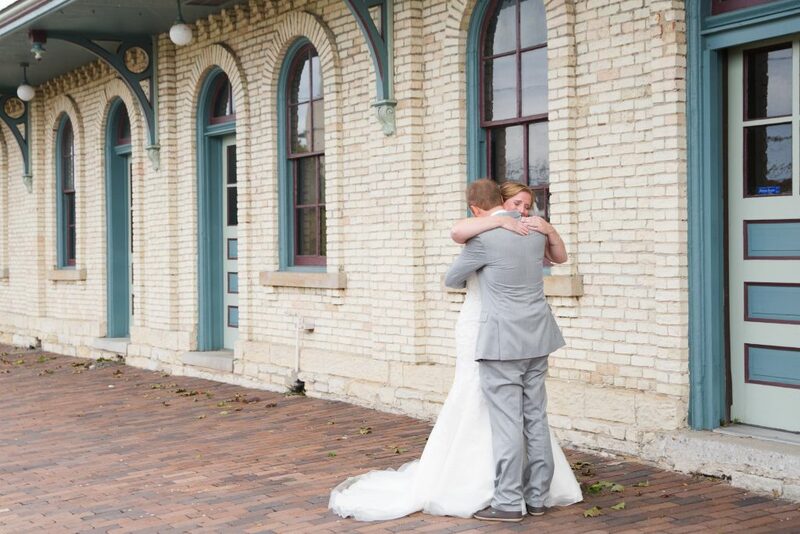 It’s totally ok if couples choose not to share a first look! Those who are getting married in a Catholic church for example, the first look is not ideal. Most Catholic churches require the ceremony to be around 2pm, so there is a natural gap in the wedding day to fit photos in. 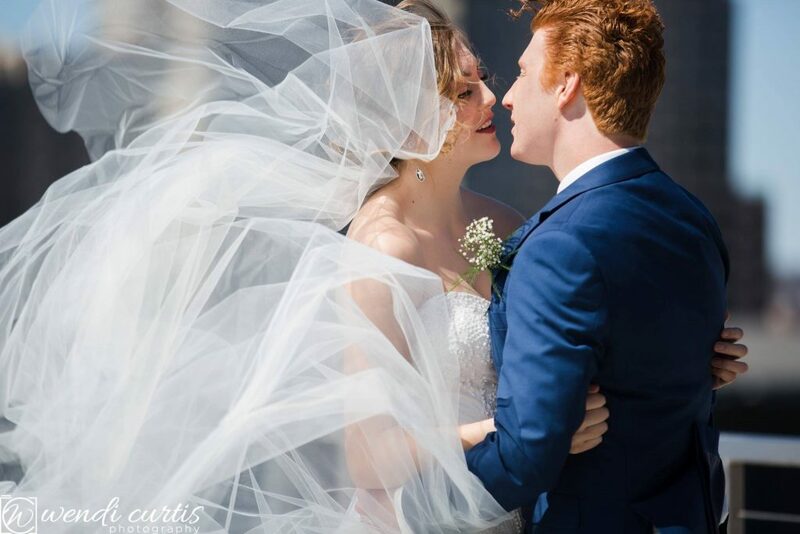 Every wedding day and every couple is unique. I strive to help created a wedding day schedule that best fits the needs of my clients!